New York had it right - the sky’s the limit: at least in the world of gardening. Vertical gardens are the hottest new botanical trend sweeping the globe and working environmental, aesthetic and space-conserving wonders. Along with vertical farming and even skyscraper-scale vertical forests, it would seem the only way for horticulture is up. 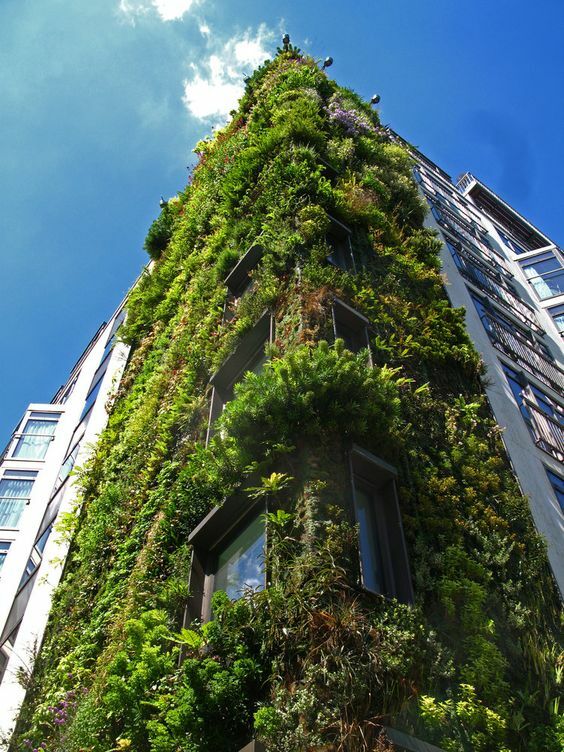 We’ve compiled the coolest public vertical garden features around the globe for you to inspire all your flora and fauna fantasies. The Cloud Forest and neighbouring Flower Dome at Gardens By the Bay are arguably some of the most impressive attractions in Singapore. Equally stunning inside and out, daytime and night-time, these enormously upscaled and verticalised greenhouses contain a plethora of plants and vegetation, as well as the world’s tallest (100 foot) waterfall. The Athenaeum Hotel in Mayfair, London, has been dubbed ‘the Green hotel’ for good reason - it features a living wall that stretches from street level to the 10th floor penthouses. Curated and designed by French artist Patrick Blanc, this wall features a lush mix of native and exotic plants. Located near the Eiffel Tower is another vertical garden masterpiece from Patrick Blanc. The facade of this museum boasts a phenomenal 15,000 plants of 150 species. When designers built Britomart’s East Complex, they wanted the interior to reminisce the historic Britomart foreshore, and the relationship between land and water. The answer: our own country’s biggest living wall, created with a lush planting palette and situated amid the airy atrium. Top five must-do's this March!